Paul Manafort's former right hand man became a key special counsel witness. 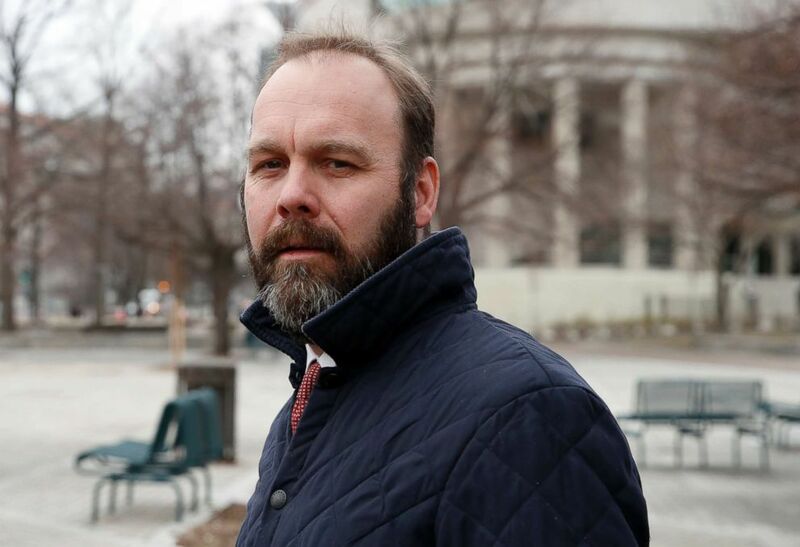 Perhaps the most striking moments of the Virginia trial of the former Trump campaign chairman Paul Manafort came from the mouth of Rick Gates. A former business associate and right hand man to Manafort, Gates took the stand to testify against his former employer after pleading guilty to lying to federal prosecutors and agreeing to cooperate with the special counsel. In Gates’ testimony, he outlined the ways that he and Manafort committed financial crimes. (Alex Brandon/AP, FILE) Rick Gates departs Federal District Court, Feb. 14, 2018, in Washington, DC. Gates and Manafort were longtime business associates, working closely at Manafort’s lobbying firm, which held offices in the Ukraine, since 2006. In indictments from the special counsel that outline Gates’ work for Manafort, Gates is identified as Manafort’s “right hand man”. Gates joined the Trump campaign around the same time as Manafort, worked to wrangle delegates at the Republican National Convention and later worked to arrange President Trump’s inaugural ceremony. Gates pleaded guilty in Washington, D.C. in February 2018 on counts of conspiracy against the United States and lying to federal prosecutors. As part of his plea agreement, he avoided a slew of financial charges in the Eastern District of Virginia that included assisting in the preparation of false income taxes, bank fraud, bank fraud conspiracy and false income taxes. His charges are intimately tied to those of Manafort. In the Eastern District of Virginia the two were indicted jointly. Like Manafort, many of Gates’ alleged crimes are related to financial misdealings and undeclared lobbying work. Many of the charges link back to lobbying work that Gates assisted Manafort with on behalf of since-toppled Ukraininan President Viktor Yanukovych. Gates allegedly assisted in concealing many of Manafort’s crimes. Gates pleaded guilty to lying to federal prosecutors about a laundry list of items related to the work he and Manafort were doing in Ukraine. Since pleading guilty last year, Gates has been fully cooperating with the special counsel’s investigation. He appeared on the stand to testify against Manafort during Manafort’s trial in the Eastern District of Virginia in August 2018. According to recent filings from the special counsel, Gates’ cooperation is still ongoing. He has not yet been sentenced for his crimes, and a sentencing date has not yet been set.